Great Option for Families - Safe Game Area, Lots of Activities! 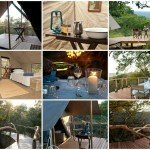 Camp Davidson has been personally vetted by Zara and Jill (as have all our Horse Riding Holidays South Africa). We do this to ensure that the quality of the horse riding, accommodation, food and scenery combine to provide only the best Horse Riding Holidays in South Africa for our clients. Suitable for beginners to experienced riders. Also non riders would enjoy a stay here. Suitable for children too. Camp Davidson bush camp is an add on to be combined with Horizons Ranch Safari. 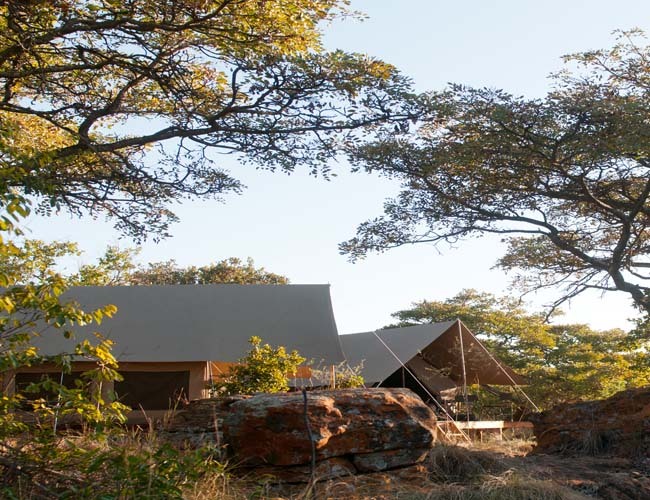 We recommend 3 or 4 nights at Camp Davidson combined with 3 or 4 nights at Horizons. Includes – All riding, guides, accommodation, meals and drinks including alcohol. Excludes – International flights, transfers and tips. There are no set dates for this ride. They run throughout the year. There is no minimum required to run a trip. Approx 3 hour transfer from Johannesburg airport. We can arrange group & private transfers & guests might also want to consider hiring a car. Group transfers at set times are £95 each way. 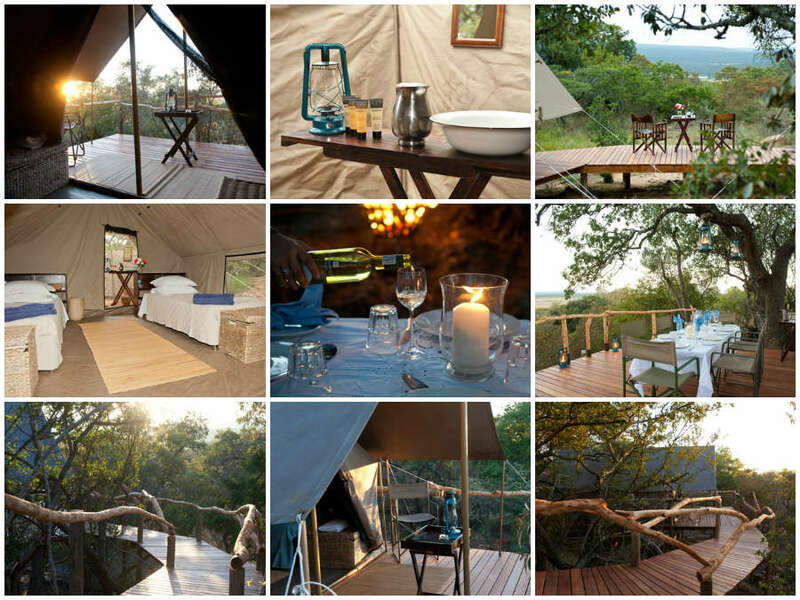 Camp Davidson has been built high in the bushveld above the Matlapeng valley. 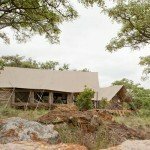 It has been brought to us by husband and wife team, Laura and Shane Dowinton of Horizons Safari Lodge and for them, it’s an alternative setting and accommodation experience for their lodge guests. 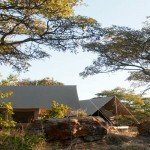 Camp Davidson offers opportunities to explore from a base camp nestled in the heart of the wooded mountains of the Waterberg, which commands a wonderful panoramic view of the central highlands of the Waterberg massif, while overlooking the picturesque Sunset Lake at the eastern boundary of Triple B Ranch. The camp itself at Camp Davidson has taken its name from the, Ted Davidson. In the late 19th century he was one of the first members of the Baber family (owners of Triple B Ranch) to settle in the Waterberg. He was a young man trading by ox wagon to remote cattle outposts in an equally young ranching area. 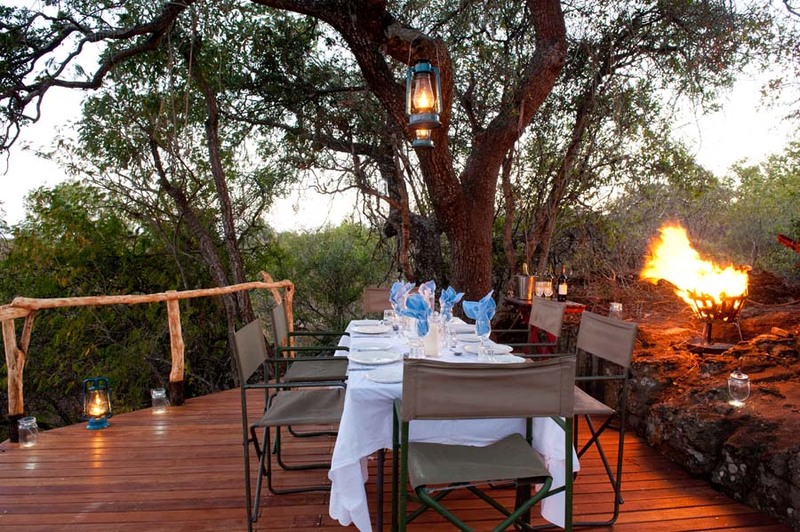 Then, a good days travelling may have been only five miles or so by rugged track, and so an itinerant life in the Waterberg meant a life by the campfire. 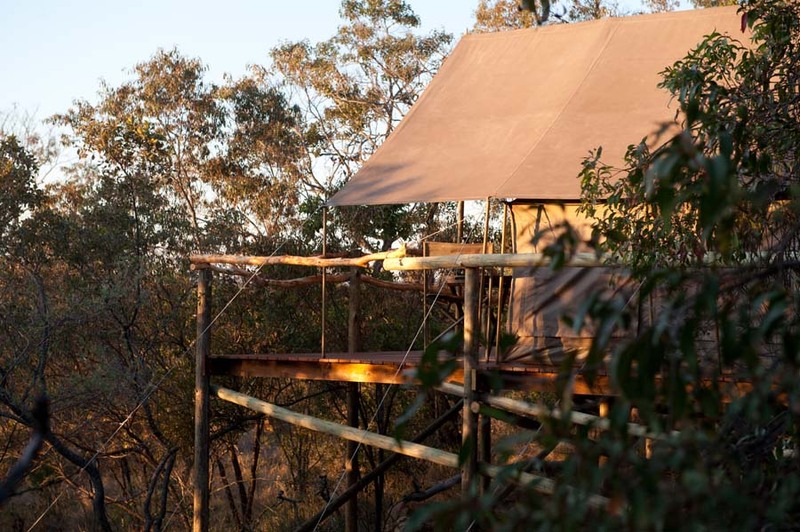 Laura and Shane have captured that early camp atmosphere at Camp Davidson through beautiful decked canvas tents nestled amongst the sandstone ridges overlooking grassy game filled valleys. 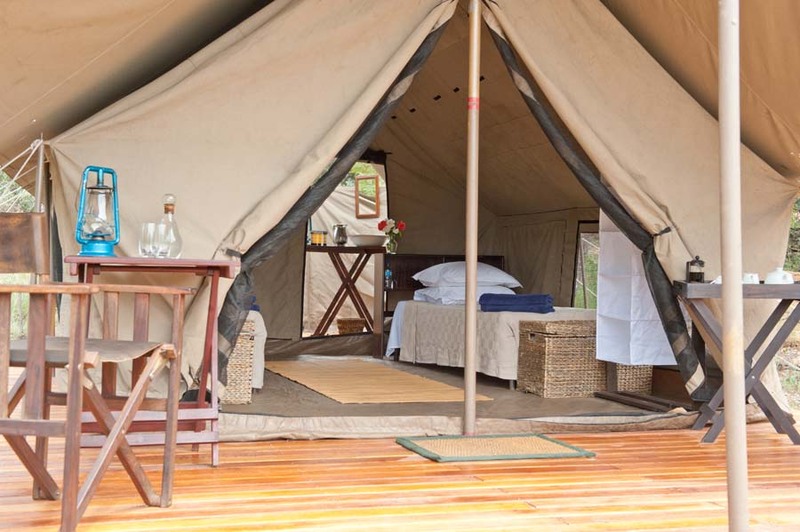 Each tent is appointed as it would have been in Teds day with items that would have been essential to the traveller accustomed to regular nights in the bush. 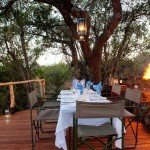 Expect the good selection of riding horses that you would from Horizons and days spent riding out through the Waterberg spotting game and in the evenings, sitting round the campfire with glasses of wine, eating the best open campfire you didn’t think possible! Camp Davidson is a great option for families as the price is good value and it’s a safe game area, with lots of outdoor fresh air and activities for everyone to feel like they are out on a real adventure! Level of Riding & Pace – Novice to Advanced – Riding out will be grouped to abilities and private groups like families will ride at their own pace. Tack – English style with South African McClellan saddles. A frame 4x3m tents with private bathroom area. There’s a solar powered shower, basin style sink and flush toilet. 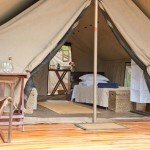 Comfortable camp beds, with cotton duvets, pillows and blankets. A light breakfast – Tea, coffee, rusks, cereals, fruit and yoghurts. Saddle bag lunches – filled cob ( the insides out of a loaf, stuffed with layers of grilled veg, pesto sauce and cream cheese and sliced through – to die for! ), coleslaw, salads, pate, cheese and fruit. Dinners – 1st night might be round the camp fire and the 2nd night might be round a table with linen cloth – expect, pre dinner snacks then something like a venison dish with rice and vegetables followed by pears in red wine, all washed down with a good South African wine – all very civilised! 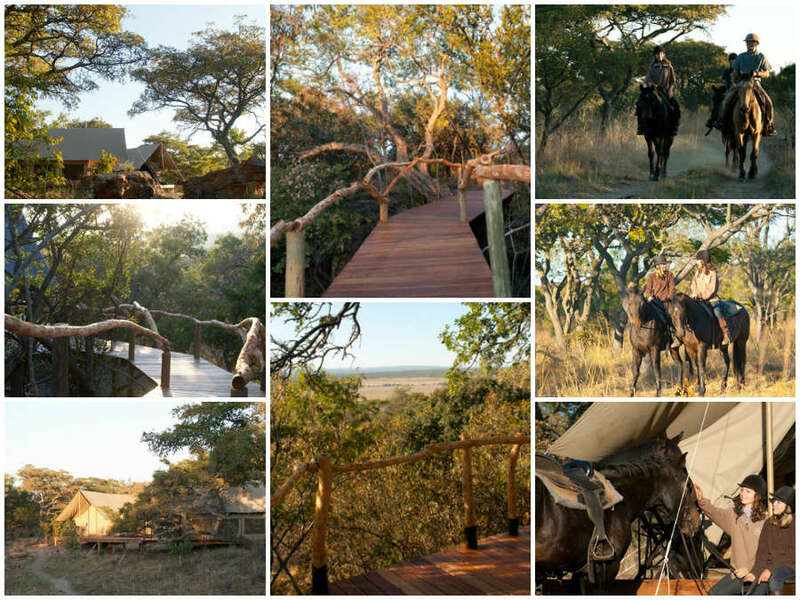 Horse Riding Holidays at Camp Davidson are part of the Zara’s Planet collection of Horse Riding Holidays South Africa. 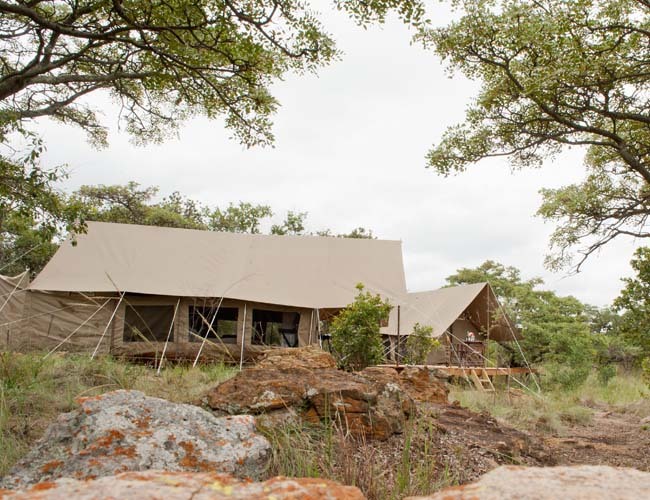 Guests will be met at Johannesburg International Airport and transferred to the Horizon Signature lodge (approx. 3 hours) in time for lunch. 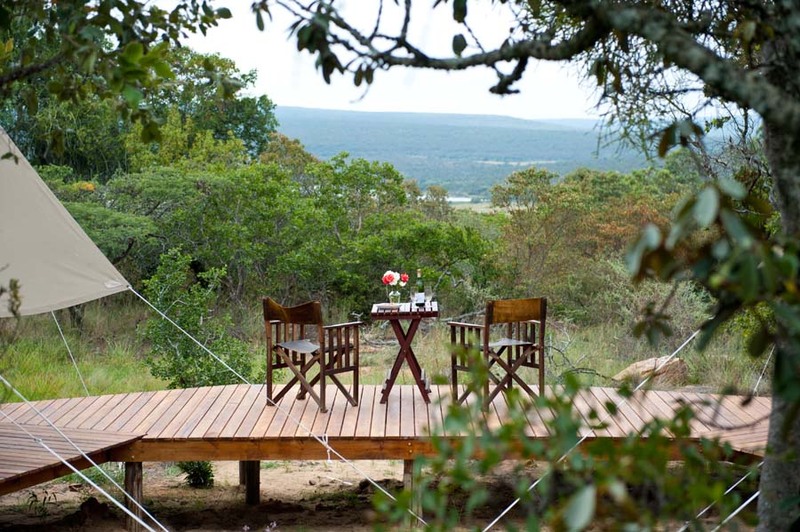 That afternoon you will enjoy an introductory ride in the game reserve with sundowners served at one of our hippo dams. Dinner is a 3 course evening meal at the lodge. A morning of mustering cattle. Guests have the opportunity to participate in this fun and exciting activity. This can be followed by a cooling swim with your horse. Afternoon tea is followed by an exhilarating fast ride. An introduction to polocrosse - we will soon have guests addicted to this invigorating sport. After afternoon tea, guests may choose to enjoy another ride or take a flatwork lesson to strengthen their seat. We head off on your ride to Camp Davidson. 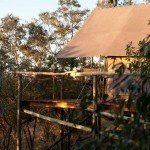 On route through the Matlapeng reserve the ride will take a sundowner break at the Red Lake, where you are likely to encounter our pod of resident hippo, before climbing the ridge up to Camp Davidson. A day of exploration in the reserve, tracking herds of giraffe, zebra, eland, wildebeest, kudu and impala. 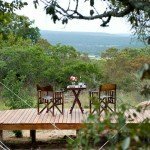 The terrain lends itself to straying off the trails as your horse leads you along game trails and narrow kloofs. A saddlebag lunch is served at the riverside on a long abandoned wagon route used by the pioneers to congregate for church each Sunday. Riders can rest in the shade of the riverine forest during the heat of the day or take a dip in the clear flowing streams whilst the horses graze, before gradually meandering back through the plains in the fading afternoon light. A full days ride west of camp takes you around Bellevue on the southern end of the property and on to the historic Baber homestead for lunch by the poolside. That afternoon riders visit the local Sotho village and have a tour of some of the traditional houses with the local characters Martha Mosima and the group of village lady elders for afternoon tea accompanied by traditional singing and dancing. After a day of long riding, culture and history you will return to the peace of the Camp Davidson where you will dine under the stars. 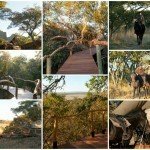 We break camp at about 5.30 and riders mount for a last ride through the reserve, soaking up the early morning sights and sounds of the African bush. Guests depart for Beadle, a craft workshop on Triple B Ranch which has served as a community and job creation project since 1998. The craftsmen specialise in beautiful handmade beadwork and leather products including riding chaps. Our last morning ride, before getting ready to depart for Johannesburg airport and your flight home.